Kit Kat's next venture was its most successful to date. Revere contracted Kit Kat partner's Tim Hannum & Rex Solomon to produce, market, and host its Grand Openning Party. This proved to be the most popular Kit Kat party of all time, and set Revere on its path as Houston's Premier Club for over a year. 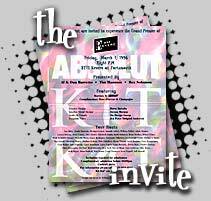 Kit Kat provided marketing support for Revere for a number of other events as well. This venture marked Kit Kat's movement into the marketing & consulting arena for night clubs and bars.